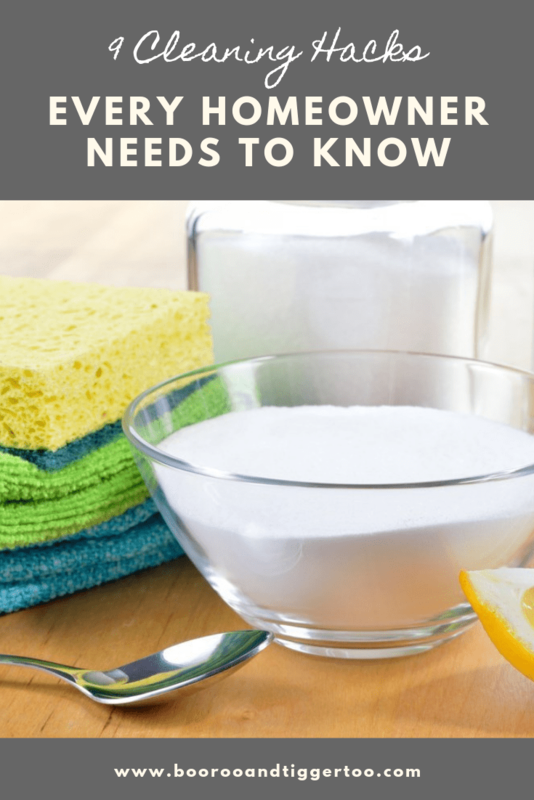 Here is a look at some neat tips that could help you make light work of a tough cleaning problem, such as a wine spillage, or a broken crockery accident that needs sorting, plus some pointers on how a popular drink and kitchen staple have alternative uses. 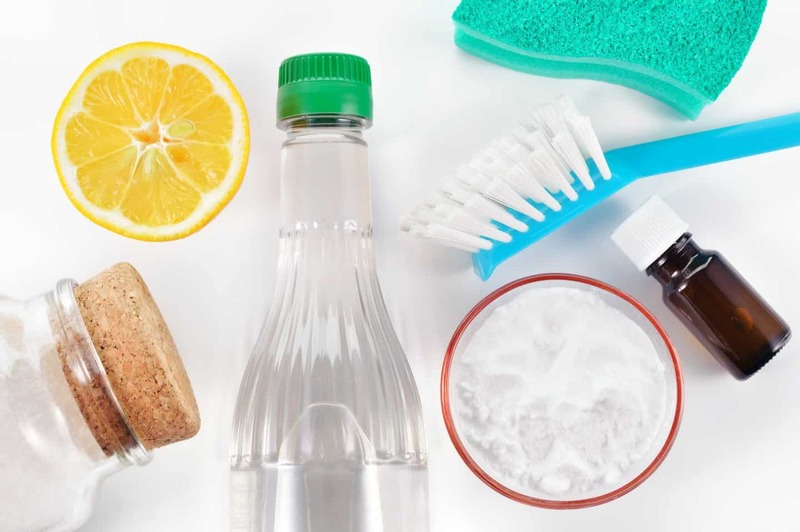 You can also click here to go on Big Clean to check out a range of cleaning products that you might need for your new cleaning regime. It’s convenient to use the microwave when you are in a hurry and that can mean that grime and germs can accumulate all too easy when you are more interested in what’s come out of the oven than what’s left behind. If you want a good hack for getting rid of microwave debris to try giving it steam clean. The way to do this is to put one measure of water and an equal measure of water into a microwave-safe bowl and set the time for somewhere between 5-10 minutes, depending on how powerful your oven is. Let it stand for about a minute when the time’s up and you should then find wiping it down is a breeze. You might have a vacuum cleaner that has an attachment that is supposed to be good at collecting pet hairs but it’s hard work scrubbing the furniture and not always that successful. Try putting on a pair of rubber gloves and then run your hands over the area where pet hairs have gathered. You should find that static does a good job of collecting the pet hairs on your glove, which you can then rinse off in the sink. If you have a shower curtain it can be a real breeding ground for mold and mildew, but there is an easy way to keep it clean and avoid having to replace it so soon. Put the shower curtain liner in the washing machine with a mix of detergent and vinegar, including a few towels to help the cycle run properly, then put your clean liner back once it has dried. It is always a moment of panic when someone spills some red wine on your carpet or couch, but there is a hack that should help you deal with that drama, as long as you take action immediately after the mishap. 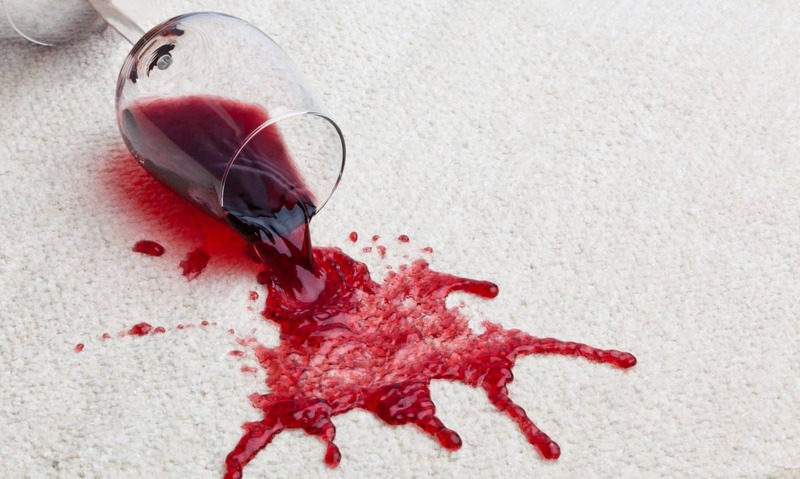 Red wine stains can be very hard to shift once it sets in but if you dilute the spillage with some white wine and then blot the area with some paper towels, before covering the stained area with salt to draw the wine out, you might be able to avert a permanent disaster. Coca-cola has a variety of cleaning uses and is much more than a drink, although it might be a bit worrying for regular drinkers of cola to realize how effective it is as a cleaning product. If you have an oil stain on your drive, for example, all you have to do is pour some of your cola over the stain, allow it to soak in for a few hours, then hose it off and watch the stain disappear. It doesn’t stop there with what you can around your house with a bottle of coke and another use for the drink is as a toilet cleaner. Cola is pretty good at breaking down any residue in your toilet bowl that is proving stubborn to shift, and it beats the traditional method of rolling u your sleeves and tackling the problem with a scrubbing brush. It might change your view on cola as a drink when you consider how effective it is for cleaning toilets and removing stubborn stains in and around your house! If the wine glass containing your wine also broke at the same time, you have two challenges to contend with, the spillage first followed by trying to gather up every shard of glass. Collecting every little piece of glass can be a real nightmare, however, if you place a slice of bread onto the floor and press down gently it should pick those little bits with ease. It can be frustrating to have some odours lingering in your home despite the fact that you have spent a good few hours cleaning. Baking soda works well for masking smells. Spread some on your carpets and then vacuum it up after it has had a chance to neutralize those pongs. It is not a lot of fun cleaning all the baseboards in your home but there is a trick to use that should help dust and debris from building up so often. Wipe down your baseboards with a dryer sheet and your efforts will be rewarded when you find that they stay cleaner and free from dust for longer, which means one less chore on your list of weekly cleaning tasks. A kitchen staple that also serves as a useful cleaning product is vinegar. 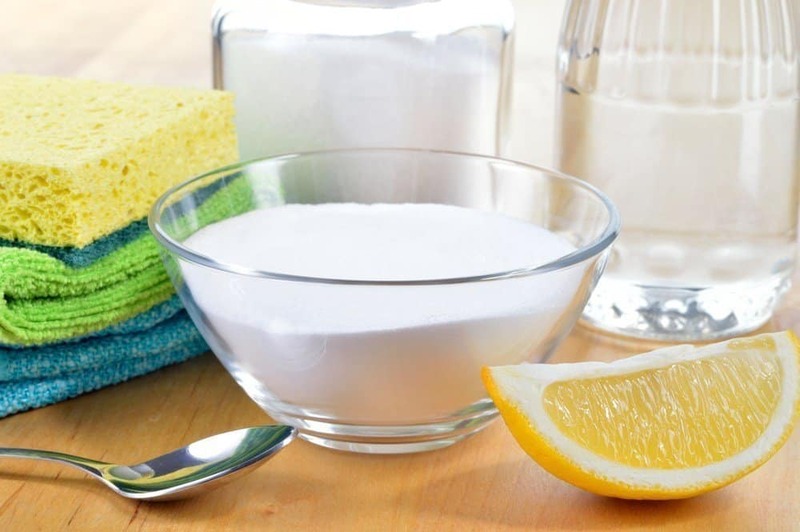 Vinegar is an effective cleaning solution for lots of different scenarios, such as cleaning wooden surfaces like your flooring, and it has always been a popular choice for savvy homeowners who know that vinegar is great for cleaning windows too. If you want another tip for using vinegar in your cleaning routine, try putting some on your shower head to give it a new lease of life. 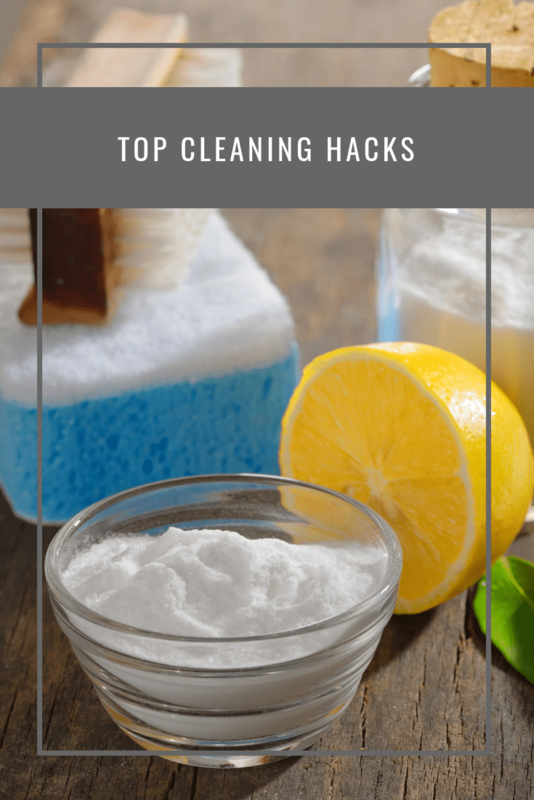 Even if you love spending time keeping your home spick and span it makes sense to use some hacks that make your tasks easier so that you don’t spend so long trying to remove tough stains and grime.